From the Bolshoi Ballet to an Akhmatova exhibition: Russian arts events in Europe for the coming fortnight. The Iconoclastes gallery in Paris is hosting an exhibition of photos by Russian photojournalist Sergei Ponomaryov, who spent last year in Donbass and at Kiev's Maidan Square. It is his first personal exhibition in Europe and includes 50 photos from the four war-zones where he has worked: Afghanistan, Syria, Gaza and Ukraine. "During this conflict [in Ukraine] I understood what is 'your own' war and what is not," he says. "When I was in Syria, Libya, Gaza, Afghanistan and Lebanon it was easy to work, as both sides were equal for me … In Ukraine it's different, as I am Russian and it's very hard to work there as I am connected with one of the sides. Experience of those conflicts gave me an understanding of how a journalist should behave. I wasn't taken in by the propaganda, but tried to portray everything objectively". Interest in the Russian language is growing worldwide. This Sunday you can take advantage of a unique opportunity to check your knowledge of Russian. ‘Total Dictation’ is an annual event dedicated to those that love the Russian language and wish to improve their written Russian skills. Anyone can register on the website and participate in a dictation test for free. Held in several Russian cities and select locations across the globe, this year the movement includes 50 countries as well as a specially prepared text by Russian famous writer Eugene Vodolazkin. See the full list of cities and countries (in Russian) and to prepare for the dictation, test your Russian here. The Bolshoi Ballet can now be seen live in cinemas around the world. This Sunday two hours and 20 minutes of Ivan the Terrible will streamed live in cinemas across Europe: in Germany, France, Netherlands, the UK and, of course, Russia. See the whole list of cinemas around the world here. The German city of Freiburg welcomes a week of Russian culture that affords a unique opportunity to watch theatre performances, movies, attend lectures and exhibitions devoted to Russia. The State Freiburg Library will hold an exhibition of photos from less well-known Russian cities such as Chelyabinsk, Volgograd and Astrakhan. Stage readings will celebrate Russian writers including Ludmila Ulitskaya, Mikhail Bulgakov and Daniil Kharms. How can a freestanding tree, growing through the floor of the Pushkin House in London reveal the flow of ideas between three brilliant Russian minds? It has to be seen to be believed. 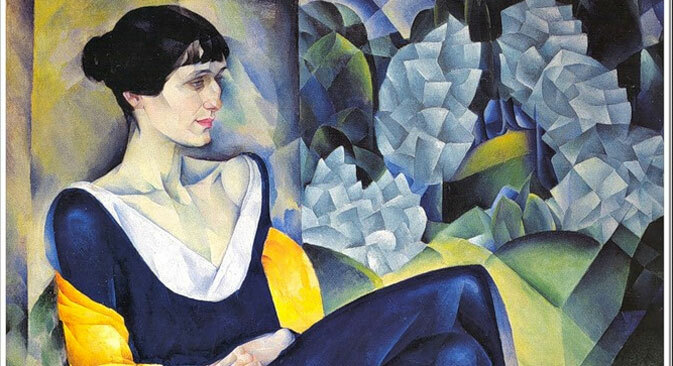 In an upcoming exhibition at one of the oldest Russian cultural centres in the UK, curator Elena Zaytseva works with artist Vitaly Pushnitsky and Olga Jurgenson to consider the work of poet, Anna Akhmatova and her interaction with philosopher Isaiah Berlin and creator of the National Gallery's mosaics, Boris Anrep.